Genetic code is sequence of three bases-a triplet code. DNA must code for the 20 different amino acids. DNA has information carrying capabilities. This information is present in the sequence of nitrogenous bases of DNA. DNA transfers these sequences to mRNA. Each three-base is a codon. There are 64 possible codons. But there are only 20 amino acids. Hence more than one codon can specify same amino acid because, this characteristic of the code is called degeneracy. In the History of Genetics George Gamov played and important role and postulated that three-lettered code must be used to encode 20 amino acids. The first actual codon was made by Marshall Nirenberg and Johann Matthaei in 1961. They used a cell-free system to translate a poly-uracil RNA sequence (UUUUU…., etc.). 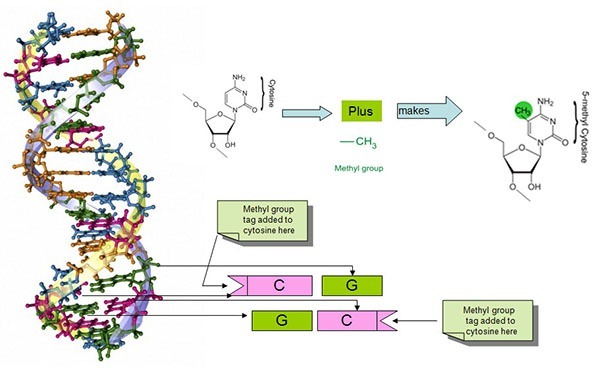 they found that codon UUU specified the amino-acid phenylalanine. Later, Har Gobind Khorana identified the rest of the code. Shortly after, Robert Holley identified tRNA as the adapter molecule. In 1968, Khorana, Holley and Nirenberg shared the Nobel Prize in Physiology or Medicine for their work. The gene sequence inscribed in DNA and RNA is composed of tri-nucleotide units called codons. Each code is specific for a single amino acid. Over all there are 43 = 64 different codon combinations. For example, the RNA sequence UUUAAACCC contains the codons UUU, AAA, CCC. Each of which specifies one amino acid. So, this RNA represents a protein sequence. 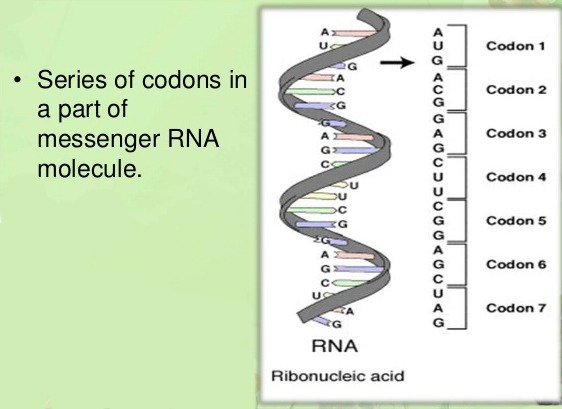 (a) Start codons: Translation starts with a chain initiation codon (start codon). The most common start codon is AUG. It also codes for methionine. But other staff codons are also used. 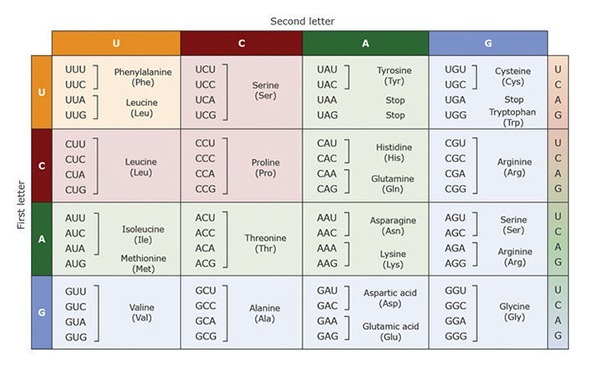 (b) Stop codons: In classical genetics, the three stop codons given names: UAG was (amber, UGA was opal, and UAA was ochre. These names were originally the names of the specific genes. Mutations in these produces these stop codons. Stop codons are also called termination codons. Many codons are redundant. It means that two or more codons can code for the same amino acid. Degenerate codons may differ in their third positions. For example, both GAA and GAG code for the amino acid glutamic acid. (a) A codon is called four-fold degenerate if any nucleotide at its third position specifies the same amino acid. (b) It is called two-fold degenerate if only two of four possible nucleotides at its third position specify the same amino acid. In two-fold degenerate codons, the equivalent third position nucleotides are always two purines (A/G) or two pyrimidines (C/T). Degeneracy is essential in order to produce enough different codons to code for 20 amino acids and a stop codon. There are four bases. Therefore, triplet codons are required to produce at least 21 different codes. For example, if there were two bases per codon, then only 16 amino acids can be coded for (42=16). Then 43 give 64 possible codons. It means that some degeneracy must exist. Only two amino acids are specified by a single codon. One is the amino-acid methionine, specified by the codon AUG. It also specifies the start of transcription. The other is tryptophan, specified by the codon UGG. Codon is defined by your starting position. For example, there is string of GGGAAACCC. If it is read from the first position, contains the codons GGG, AAA and CCC. If it is read from the second position, it contains the codons GGA and AAC (partial codons being ignored here). If it is read from third position, it gives GAA and ACC. Thus, every sequence can be read in three reading frames. Each of which will produce different amino acid sequence. On double stranded DNA have six possible reading frames, three forward and three reverse. The actual frame is defined by a start codon. The first codon is AUG in the mRNA sequence. Codes are universal in most of the organism. But some variations are present in some organelles or species. Numerous variations of the standard genetic code are found in mitochondria. Mycoplasma (bacteria) translates the codon UGA as tryptophane. Ciliate protozoa also have some variation in the genetic code: UAG and UAA code for glutamine and UGA codes for Cysteine. Another variant is found in some species of the yeast candida. CUG codes for serine in it.